Today we (the Danish deligation) went to Desert Island to see and meet Peter Bagge (Hate). Fantastic comic-shop, full of all the best indie and small-press comics you can think of. 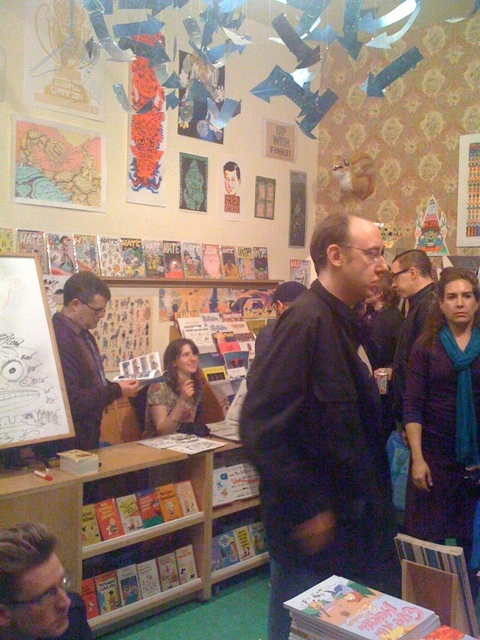 Latter we headed over to Burgenstreet Comics for the release of the C’est Bon and Rabid Rabbid collaboration flip-book called Square One. 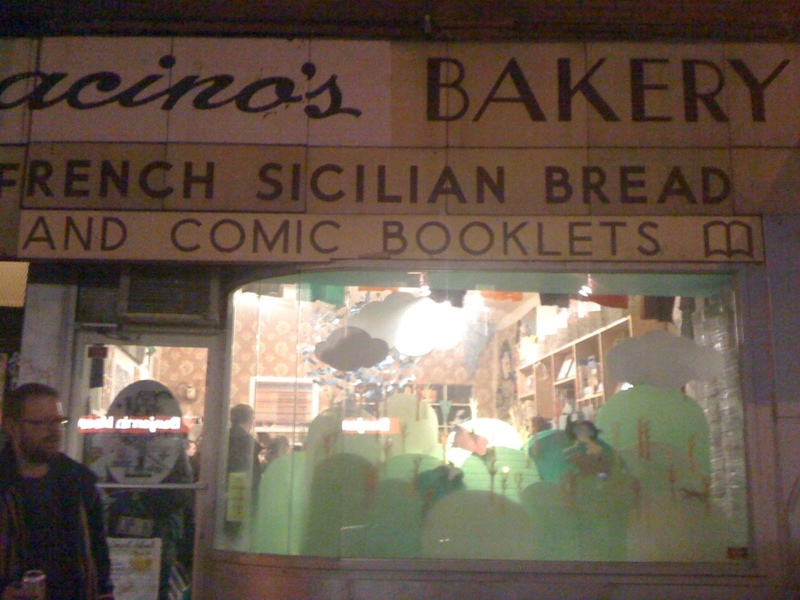 And it’s Bergen Street Comics. Nice party!